Ice cream dipping cabinets are the cold storage boxes used for storing large quantities of ice creams in shops, restaurants, etc so that you can directly scoop them into a cone or cup while serving. They also consist of elegant glass tops that showcase the variety of ice creams you provide. Positioning them in the right place helps boost your sales. In this article, we will be looking at the strategies that can be implemented to maximize your sales using a dipping cabinet! Excellence industries manufacture three types of dipping cabinets. Ice cream cabinets with straight-sided glass tops are very popular as you can easily place decorative items like cones, small jars, etc. that draw the attention of the customers and increases the chance to upsell. The EDC 8hc model is one such model that comes with 4 casters for quick movement, 6 additional tubs for storage and allows 3 tubs to be displayed at a time. The plastic knob on the sliding doors provides a hassle-free experience for users. The sided glass tops act as a shield for the ice creams and this feature applies for all types of glass dipping cabinets of Excellence Industries. Excellence EDC-8CHC 48” is a curved glass cabinet that has less top space as compared to the straight glass cabinets. However, the curved glass exterior does give a charming, elegant appearance. This dipping cabinet is integrated with 8 tubs for storage in the top section and the sneeze guard makes the products clearly visible. The heat reflective glass maintains the cold temperature and assists you in keeping the ice creams fresh, firm and consistent. The HBD-6HC features an enclosed design and comes with extended glass sides that improve the insulation of your display cabinets. It also allows a better view of your wide range of ice cream to your customers. The interior LED lights really boost the draw of your ice creams. Presentation is a huge part of ice cream sales to the public. The easy scooping facilitated by the wobble-free containers makes it ideal for presenting different flavors in a cone or bucket. The heat reflective property of the glass cover keeps the temperature icy cold at all times. It also comes with 3 display tubs and 4 additional tubs for replacement. Ice creams are the best sellers. Smart placement of ice cream dipping cabinets and use of interior LED lights can give a real push to your sales. Using display cabinets that are visually appealing captivate the attention of your customers and improve the rate of impulsive buying. Most of the ice cream vendors in malls and shops strategically place the dipping cabinets near the checkout to increase their sales. Customers like to walk out of a shop with an ice cream rather than in. Why should you buy ice cream dipping cabinet by Excellence Industries? All the ice cream dipping cabinets of Excellence Industries are UL certified, provided by Underwriters Laboratories, a company which certifies products based on safety features and specifications. All these ice cream cabinets feature exclusive designs and smart looks which make them ideal for lavish shops and other ice cream centers. The high quality galvanized steel with white powdered coat finishing also makes them tough and durable. These dipping cabinets are engineered to be energy-friendly and innovative. They save on energy and energy bills. Equipped with smooth glass sliders and easy to use features, they are more desirable than competitor’s products. They come with lockable castors which provide ease of mobility while relocating them, but lock them down when needed. Excellence Industries has more than 10 years of experience in the field making it a reliable, authoritative and trustworthy brand. 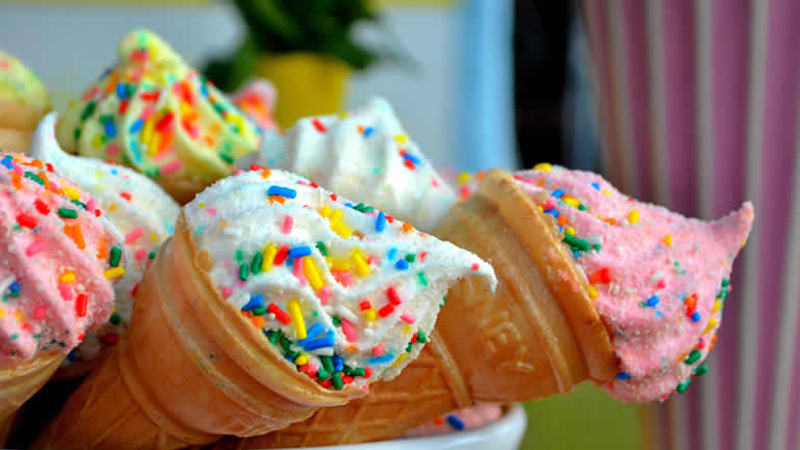 Want to enhance the sales of ice creams, desserts and sorbets? Use ice cream dipping cabinets from Excellence Industries and see the difference.